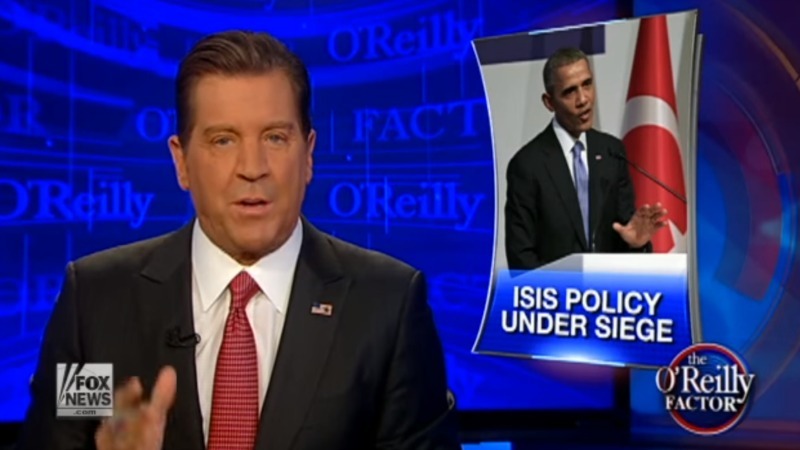 The day before the horrific Paris Attacks, Obama actually told a reporter that ISIS was contained. To this day he still hasn’t walked back that lie, and most Democrats won’t even acknowledge that Obama is completely out-of-touch with the reality that is ISIS. Most Democrats refuse to even use the words ‘Islamic Extremism’ to discuss radical Islam. Interesting how they freely call Republicans ‘extremists’ on a regular basis though. Eric Bolling was filling in on ‘The O’Reilly Factor’ the other night and had quite an interesting exchange with Nomiki Knost and Rebeccah Heinrichs. During the exchange, Knost (mentally enslaved Democrat) continued to defend Obama’s failed strategy and continued to use the same talking points handed down from the White House about ISIS. I find it really interesting that my colleague is able to use the words Republican Extremists but she finds it impossible to use the words Islamic Extremists. Watch the video of the segment and exchange below (skip to the 4:45 mark to see the epic take down). These are the type of people who are running our government, including that psychopath Pelosi from San Francisco. Does anyone actually wonder why Americans DON’T TRUST the Obama Administration to thoroughly vet refugees coming here? Obama doesn’t even seem aware of the extreme national security threats that continue to surround this country. Democrats continue to live in a fantasy world that will do nothing but get more Americans killed. He has one job – protect the country. One job that he has consistently and continually failed to do.